Top 5 hairstyles for my frizzy haired daughter! Up until very recently, Evie always hated people touching her hair. It was a major struggle to get her to let me brush it or even wash it without a meltdown. 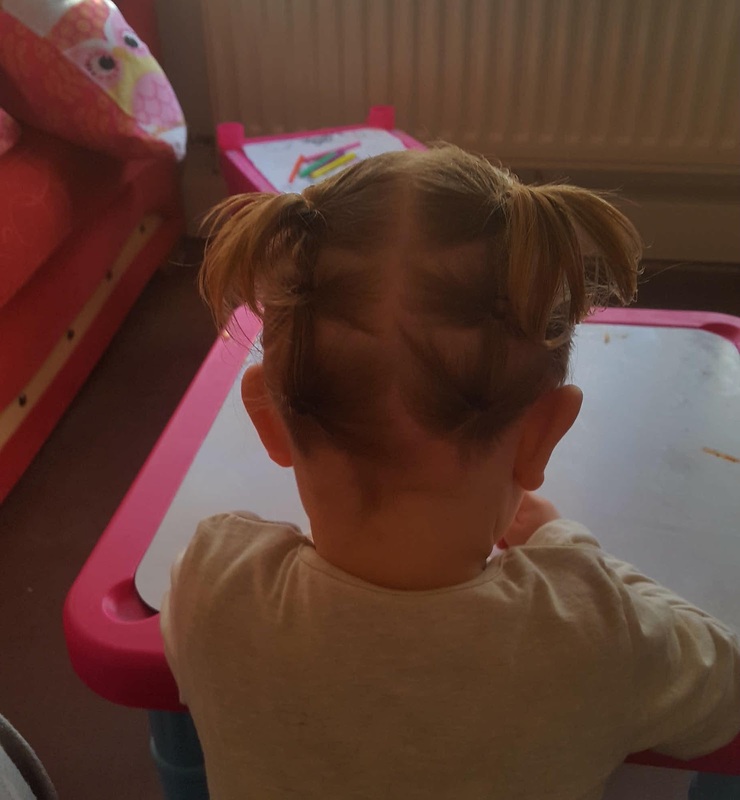 So when she finally decided that she wanted pretty hair for nursery, I was stuck to say the least. She has the awkward in-between hair that isn’t curly or straight, thick or fine… It’s usually just a matted frizzy mess begging for a brush. 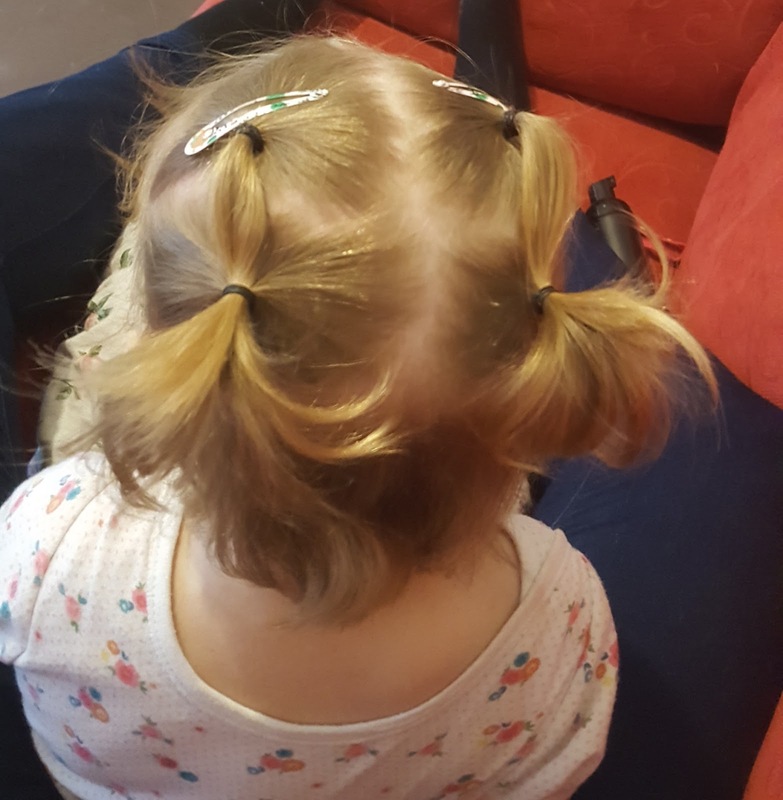 But with a bit of help from Social Media mummies and a lot of Pinterest searching, I have finally found hairstyles that are not only easy to do but tame her frizzy hair and make it easier to manage on a daily basis. So I give to you, my top 5 go to hairstyles for my frizzy haired daughter. 1.This one is the easiest of them all! All you need is 2 small hair bands or elastics and a comb! Always try and start off with damp hair, it makes it so much easier to manage and helps it stay in place when styling! Separate the hair into 2 sections and tie them into bunches. DONE! If your daughter’s hair is shorter like mine, use the top section if her hair and then separate that into 2 sections. You can add clips or bows etc. to make it look prettier or just leave it as it is. 2.For this one you will need 4 small hair bands or elastics and a comb. Take the front section of hair and split it into 2 sections and tie them into bunches. Then take the middle section of hair and do the same but as you comb them into bunches, add the bunch from the top section into it. 3.This one is very similar to the previous one but instead of passing the top bunch down, pass it diagonal and then tie it into a bunch. 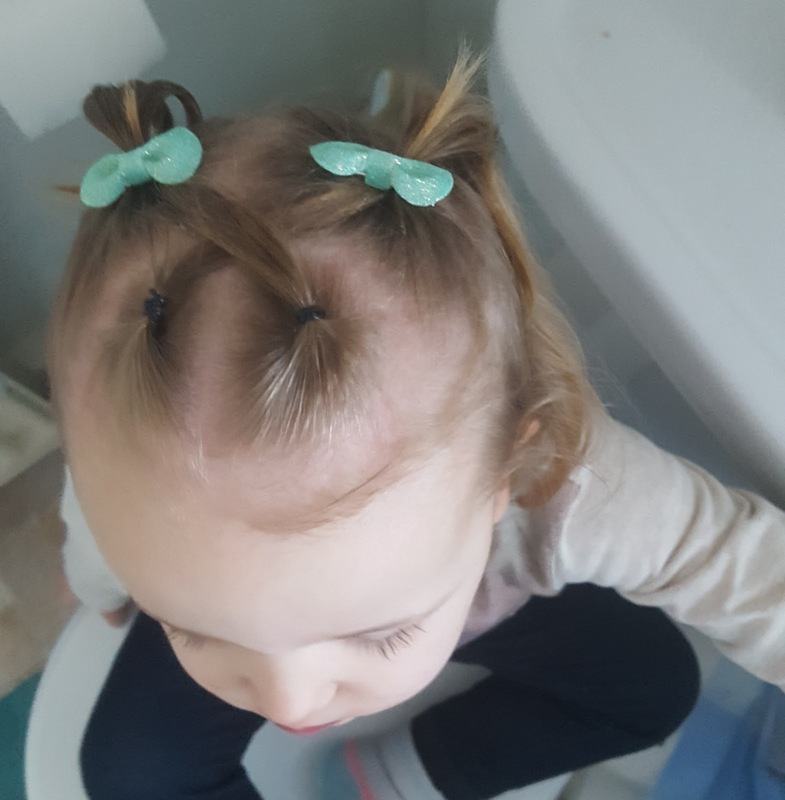 4.For this one you will need 2 small hair bands or elastics and a bit more patience. Separate the hair into 2 sections (as you can see, the sections don’t need to be even). Clip one section to the side whilst you work on the other side. Take the front section of hair and start twisting it back gathering up sections of hair as you go along, until you get to the back and then tie it off with a band and then repeat with the other side. Once you’ve reached the back with second twist, tie them both together and add a bow or flower etc. 5.For this one, grab 6 small hair bands or elastics and a comb. Split the hair into two sections and clip one side. Take the bottom section and tie it into a bunch, then take the middle section and do the same but take the bottom bunch into it before tying it off and repeat again with the top section. Then repeat on the other side. 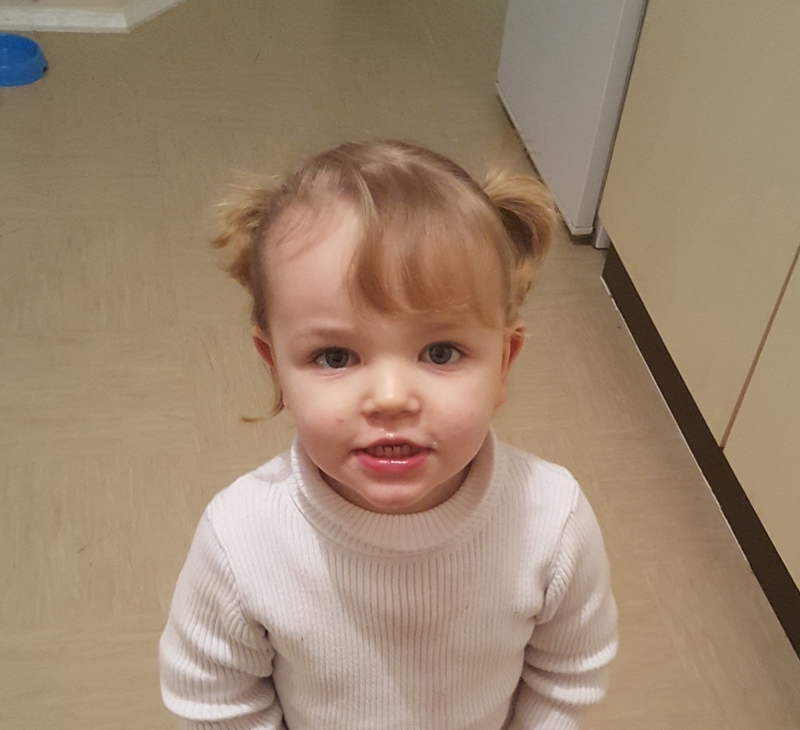 Depending on the length of your daughter’s hair, you can either leave the top as bunches or make them into buns. And there you have it! 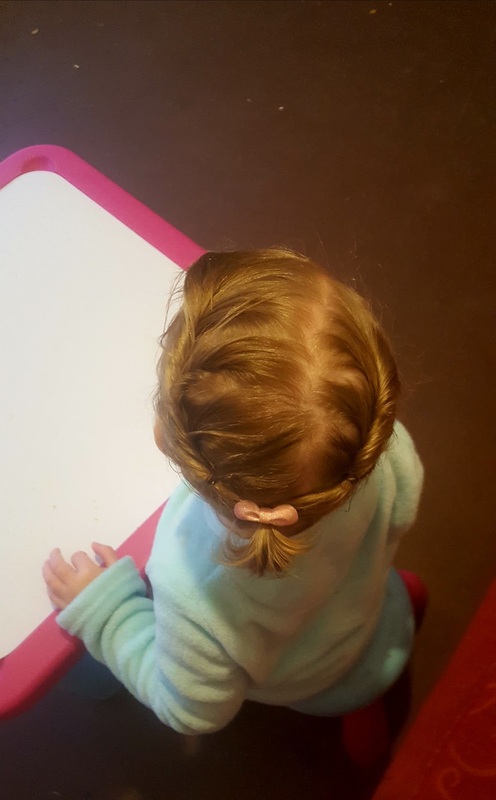 My top 5 hairstyles for my frizzy haired daughter! Hopefully these work for you and if they do, we would love to see them! Or if you have your own go to hairstyles, feel free to share them below, I’m always in need of new ones! Previous Post Celebrity style walk-in wardrobes only for you! Next Post Mental Health Monday: 5 ways to cope with stress!